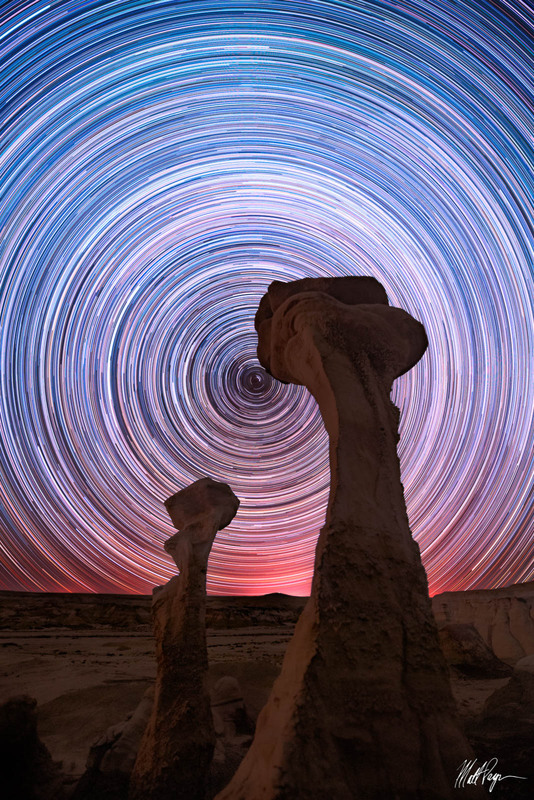 For this nightscape, I backpacked deep into the desert of the Bisti Badlands (De-Na-Zin Wilderness) of New Mexico south of Farmington with my friend Todd to execute my longest landscape star trail photograph to date. This photograph represents five hours and eighteen minutes of star movement across the heavens. 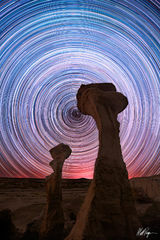 I aligned these two hoodoos, known as the Conversing Hoodoos, so that Polaris or The North Star was just in between them. I feel like it looks like E.T. from the 1980's Steven Spielberg movies. What do you think?